Bopiliao Old Street is located long Lane 173, Kangding Road south of Laosong Elementary School in Taipei's Wanhua District. The street extends north to the school and south to Guangzhou Street. Laosong Elementary School was built in 1896, earning the school's northern building designation as a city historic site. The east and west buildings are also historically significant. The Heritage and Culture Education Center of Taipei is also located next to the school. 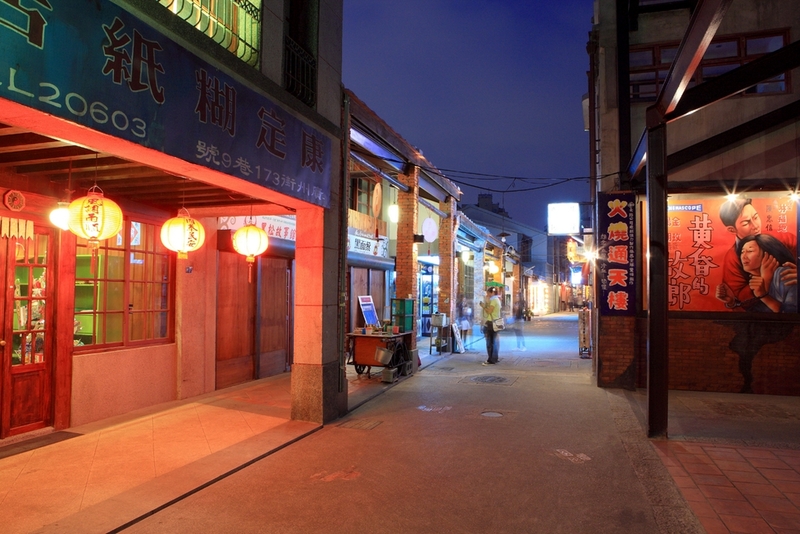 At the Bopiliao Historic District, visitors can see well-preserved streets and traditional shop homes from the Qing period, as well as buildings from the Japanese occupation and early post-war periods. These buildings have witnessed the development of the Mengjia area (Wanhua District) over the years and form an important part of Taipei's historic urban landscape. Among the historic buildings here are the Taipei home of the eminent scholar Chang Tai-yan (at No. 123 Guangzhou Street), Yongxing Tingchuantou Store, Song Xie-Xing Rice Store, residence of Dr. Lu A-chang, Rixiang Travel Agency, Taiyo Bindery, Xiuying Teashop, Changshou Teashop, Weiling (Taoist) Shrine, and Public Bath. Longshan (lungshan) Temple and shops selling spirit money, Chinese medicine, herbs and Buddhist implements further add to the historical and cultural charms of this area. Nat'l Hwy 1 → Exit at the Taipei Interchange → Prov. Hwy 2B → Minzu W. Rd. → Expressway → Guilin Rd. → Sec. 1, Xiyuan Rd. → Guangzhou St.
Nat'l Hwy 3 → Exit at the Zhonghe Interchange → County Hwy 106A → Bei-91 Township Road → County Hwy 114 → Guangfu Bridge → Sec. 2 to 1, Xiyuan Rd. → GUangzhou St.
Take the THSR to Taipei Station, continue by MRT to Longshan Temple Station. Take the train to Wanhua Railway Station.